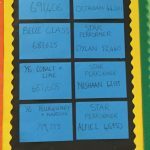 It was a jam packed week last week at Balby Central! Here’s an overview of what’s been going on. 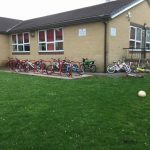 The Big Pedal – thank you to all children who have been cycling and scooting to school. Our record is 15 bikes and 16 scooters in one Day! Let’s see if we can beat that this week! 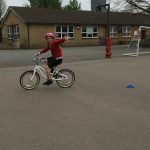 Cycling skills session – 11 children took part in a fun cycling session with Tom our cycling instructor. 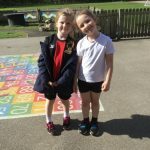 The children showed off some brilliant skills and had a great attitude! 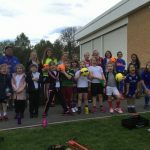 SSE Wildcats Football – 20 girls attended our first ever SSE Wildcats Girls Football session on Wednesday! 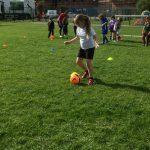 The standard of Football was brilliant in the older girls’ session, with the younger children taking part in a really actitivities with Doncaster Rovers coaches! 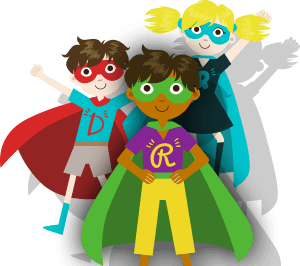 There are still places available if your child would like to join! Northern Ballet Workshop – Reception children took part in ballet workshops on Thursday morning with a professional ballet instructor. They listened really carefully and tried out lots of fun and new ballet techniques. They may one day follow in the footsteps of our KS2 children who have been scouted for the Northern Ballet. 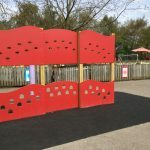 Climbing wall – we hope KS2 children will enjoy using our new climbing wall! 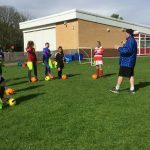 Active 15 – our Active 15 sessions are up and running and proving very successful! 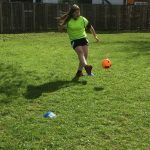 Each afternoon children take part in physical activity for 15 minutes. This is to help children achieve their 30 minutes of physical activity in the school day! The current theme is Athletic events! Fitness Bands – we have recently launched the our step count competition. KS2 classes are taking it in turns to wear fitnes bands and record their step count across four days. The competition is proving very popular and children have responded well by engaging in lots on physical activity during dinner time, play time and active 15! A great week with some great opportunities for the children! Please keep signing up for the Wildcats and All Stars programmes! Elli enjoying her first Cycle skills session! A great sight! A full Bike stand! 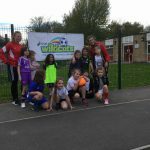 → 30.4.2018 – A great first SSE Wildcats football session!